gallamore west: Best Moms Day Ever Sweepstakes! Best Moms Day Ever Sweepstakes! Looking for inspired ideas to treat Mom to the best Mother’s Day ever? Explore the easy and creative Mom’s Day gift ideas on the Best Moms Day Ever Pinterest Board! When it comes to showing Mom just how much you care, putting together a special and personal gift for Mom is so important. Speaking of inspiration, how would a $1000 Shopping Spree fit into your Mother’s Day plans? 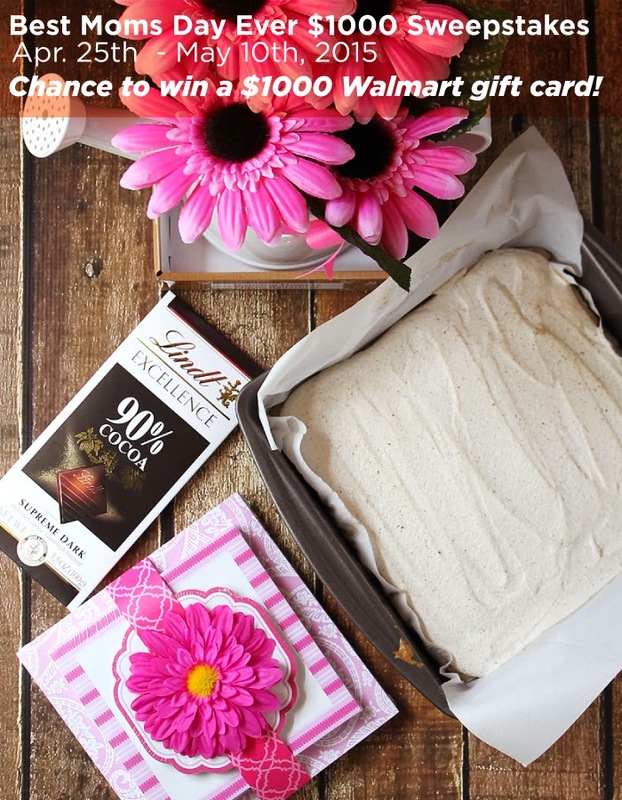 Enter the Best Moms Day Ever Sweepstakes for your chance to win a $1000 Walmart gift card! 1. Visit Best Moms Day Ever $1000 Sweepstakes Entry Form below. 3. Find inspirational Pins on Best Moms Day Ever Board via the entry form. ends on Sunday, May 10th at 11:59pm EST!